The Californian bungalow residence at 23 Mitford Street was constructed in 1921 by the original owner, Benjamin Davis, and designed by architects Edwin and C.L. Ruck. 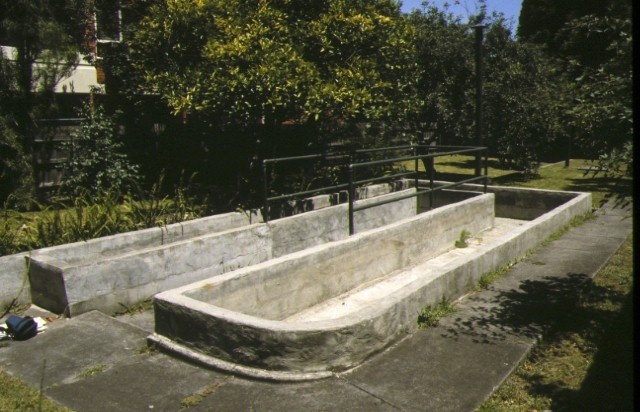 The concrete air raid shelter, located in the large back garden of the Sicree family home, was constructed in early 1941. Henrietta and Harry Sicree and their family took up residency at the substantial 1921 Californian Bungalow in St Kilda in 1927. The family had a long connection with the house, with brothers Abraham and Lazarus continuing to reside there following their father's death in 1944. In 1946, businessman Abraham Sicree established the Lazarus and Abraham Sicree Chair of Semitic Studies at the University of Melbourne, and was prominent member of the local Jewish community. Lazarus Sicree and his wife constructed the concrete air raid shelter in 1941. The shelter took the place of the Sicree's tennis court in their extensive backyard, as concerns about potential air raids heightened over the course of the war. The single storey brick dwelling is of Californian Bungalow design. The most prominent feature are the arched front porch and the large arched entrance with impressive stained glass, which leads to a wide, wood panelled entrance hallway. Two hallways lead to bedrooms, a bathroom and the kitchen, which retains early tiling and openings. The dining room and lounge room feature original ceiling decoration and tiled fireplaces. The shelter was designed by David V Isaacs, a consulting engineer, in December 1940. Isaacs was a member of a sub-committee formed by the Royal Victorian Institute of Architects and the Institution of Engineers, Australia, Melbourne division. The two bodies had been asked to prepare a series of reports to the State Emergency Council for Civil Defence early in 1940. The Pollard Brothers began building the shelter in February 1941. Its date is comparatively early, as shelters were more commonly constructed by citizens in the back yards after 1941. Though the public was made aware of the danger of air attacks following outbreak of war in 1939, it was not until late in 1941 that the threat of the Japanese in the Pacific prompted 'brownout' simulations and the allocation of federal funding increased the construction of shelters. In an era when many private shelters were shallow trenches covered in corrugated iron, the Sicree family concrete bunker is an unusually substantial structure. It also provided a relatively high level of comfort with bunks, toilet compartment with escape hatch, hand basin and benches provided for its few occupants. The reinforced concrete walls, floor and barrel vaulted roof were 12 inches thick and unusually, the concrete roof remained exposed. The sophisticated design suggests a British influence. It was later shown, however, that the extra effort and cost of elaborate subterranean concrete shelters was not justified by an improvement in protection. Both the Sicree residence and the concrete air raid shelter have remained intact since their construction. 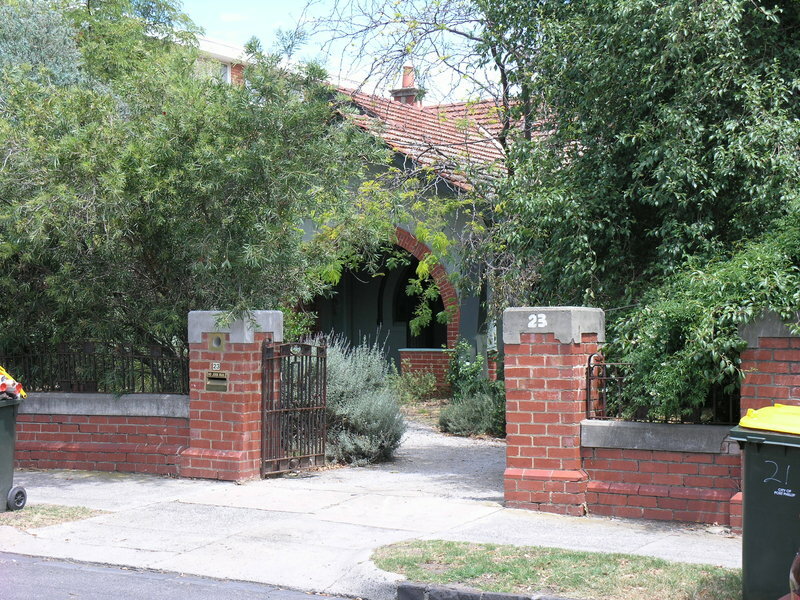 The Residence and Air Raid Shelter at 23 Mitford Street is of historical and architectural significance to the State of Victoria. The Residence and Air Raid Shelter is historically significant as an unusual example in Victoria of a private dwelling with its own air raid shelter built for the residents during the early years of the war. The residence and shelter together demonstrate the safety concerns of Melbourne's population during World War Two. The threat of attacks from the air prompted many residents to build shelters in the rear garden behind their houses. The shelter is rare for its early construction date, as backyard shelters were more commonly constructed after 1941. The substantial Sicree family house gives a context to the residential air raid shelter. It provides greater understanding of the wealth of the owners of this property in a comfortable middle class suburb, and their concerns for the safety of their family at a time of great uncertainty in the war in the Pacific during World War Two. The residence is of architectural importance as a fine and intact example of a 1920s Californian Bungalow, the most popular domestic style of the interwar period in Victoria. The underground air raid shelter is of architectural significance for its sophisticated design when most private shelters constructed were of more makeshift materials and construction. Its association with engineer David V. Isaacs is important, due to his contribution to early official concerns about home defences. As Executive Director for the purpose of the Heritage Act 1995, I give notice under section 46 that the Victorian Heritage Register is amended by including the Heritage Register Number 0616 in the category described as Heritage Place. 1. All the land marked L1 on Diagram H0616 described in Certificate of Title Vol. 2059 Folio 679. 2. 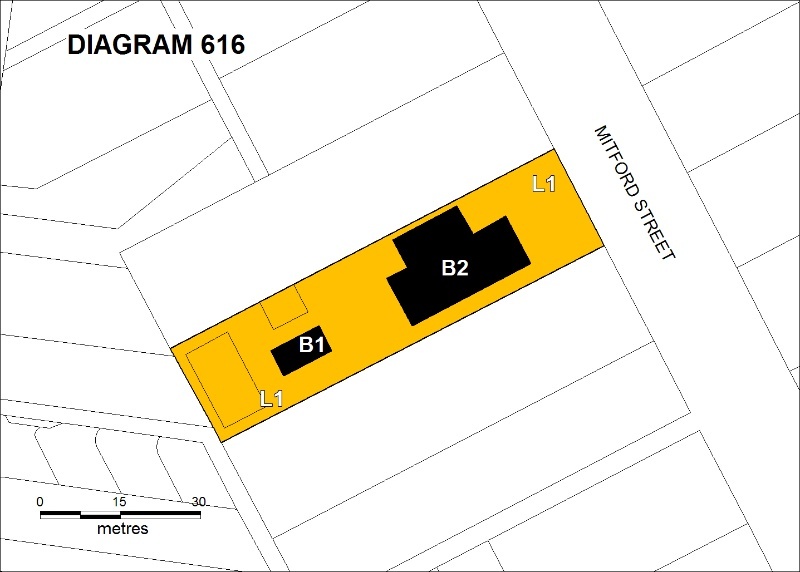 All the buildings marked B1 and B2 on Diagram H0616 held by the Executive Director. The purpose of the permit exemptions is to allow works that do not impact on the heritage significance of the place to occur without the need for a permit. 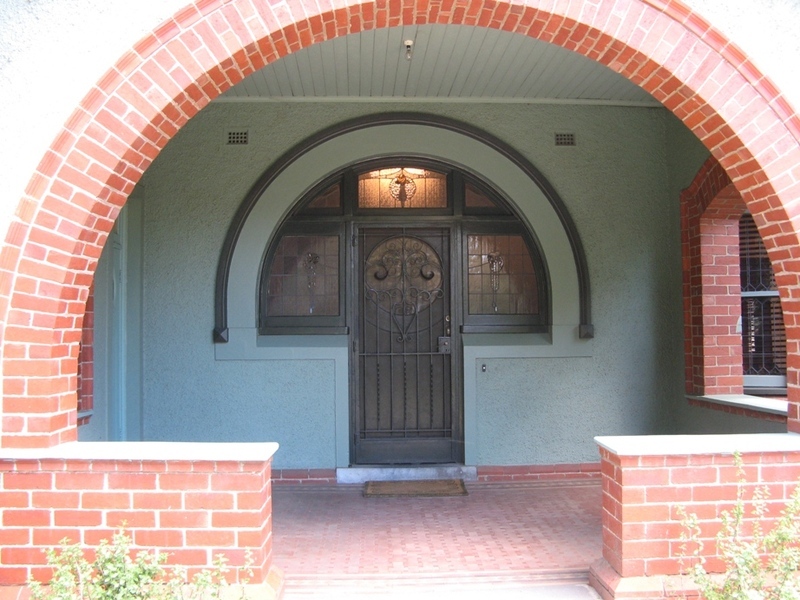 The cultural heritage significance of Sicree Family Air Raid Shelter and Residence is as an unusual example in Victoria of a private dwelling with its own air raid shelter built for the residents during the early years of the war. 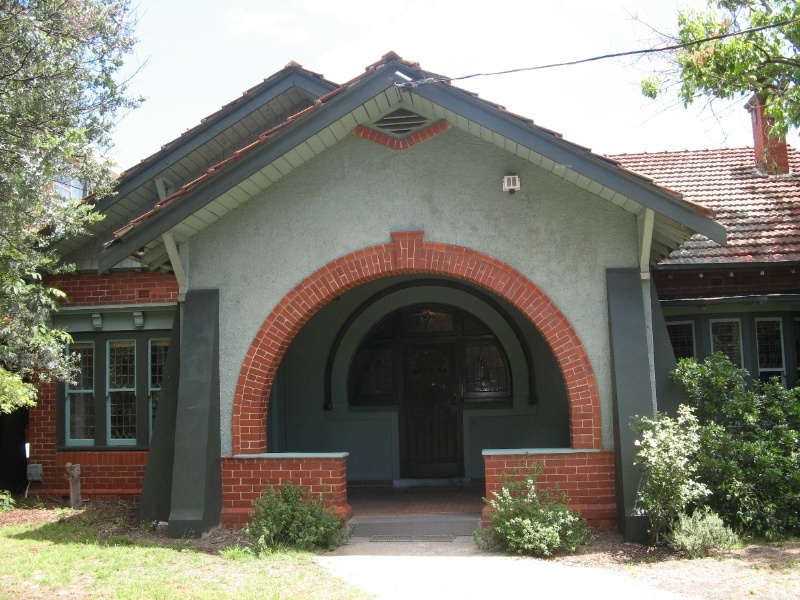 The 1921 house is a fine example of a Californian Bungalow residence, and is intact internally and externally. The concrete air raid shelter behind the house is also intact. Together they demonstrate the safety concerns of a middle class family during the early years of World War Two. It is recommended that any proposed works be discussed with an officer of Heritage Victoria prior to a permit application. Discussing any proposed works will assist in answering any questions the owner may have and aid any decisions regarding works to the place. The extent of registration protects the whole site. All of the registered buildings are integral to the significance of the place and any external or internal alterations that impact on its significance are subject to permit application. If changes to the interiors are proposed any surviving original fabric should be retained where possible.